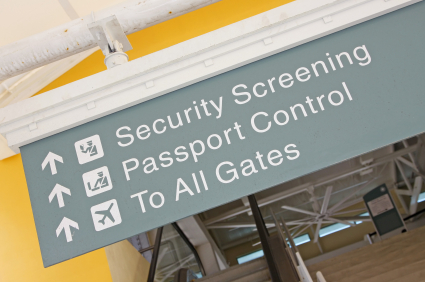 After weeks of being slammed by the public and the media, the Department of Homeland Security (DHS) and the TSA are on the offensive, trying to counter the growing backlash against new TSA airport screening measures. While Napolitano brought the message to print, TSA Administrator John Pistole made the rounds on TV this morning. I found his CNN interview to be the most illuminating (video below), especially the part where he responds to the interviewer’s assertion that body scanners wouldn’t have caught the bomb hidden in Umar Farouk Abdulmutallab’s underpants. “Well, I think reasonable people may disagree with that,” Pistole said, “but the experts say that yes, that type of device would be identified in an advanced imaging technology machine, and our tests have shown that to be the case.” The video shows close-ups of scanner images, including a shot of a screener using some sort of magnifying tool. The images really don’t leave much to the imagination. Pistole did hint at one positive development: The possibility that pilots will shortly be able to skip the TSA’s screening measures. He didn’t offer details, but said the TSA has been in touch with pilots’ unions over the past week. Still, the overall sentiment of Naplitano’s op-ed and Pistole’s various TV appearances is simple: This is what we’re doing, and it ain’t changing. Both try to gift wrap the TSA policies somewhat, claiming privacy and sensitivity as top priorities, but ultimately they maintain the scanners and pat downs are essential to our national security, and aren’t going anywhere. Pistole and Napolitano repeatedly reference Abdulmutallab specifically, in addition to the proverbial “determined enemy,” as proof that the TSA and its policies are necessary. “Patience,” Napolitano says. But don’t worry about that—just be patient, OK?